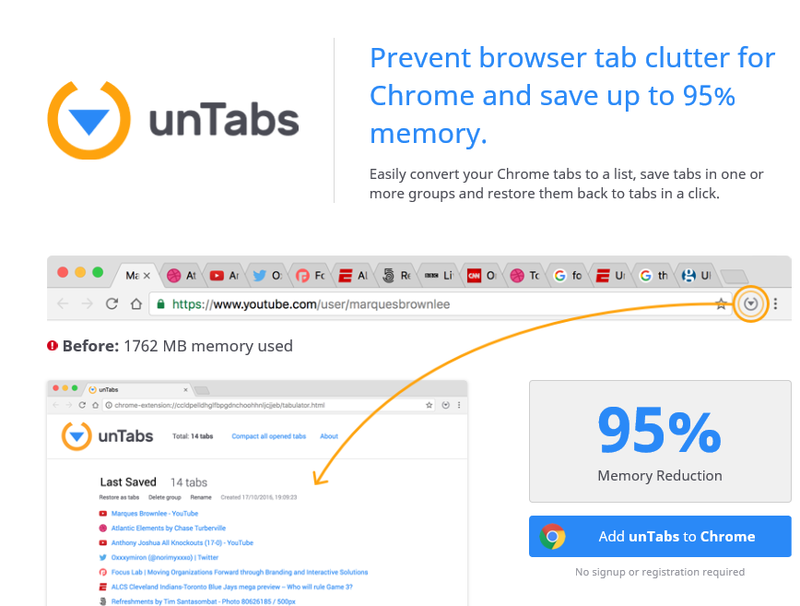 unTabs is a dubious browser extension that targets Google Chrome users. It seems that the installation is usually not voluntary and it essentially forces users to install it. It does not seem to be malicious, however. It is classified as adware and a potentially unwanted program (PUP) but is advertised as an extension that would help you manage your tabs better. Instead of helping to make your browsing better, the adware will bombard your screen with ads and pop-ups. Adware aims to expose users to as many ads as possible because it aims to generate pay-per-click income. Pressing on any of them is really not recommended. Ad-supported software does not filter through the ads it will show you, which means something malicious could be shown to you. If pressed, it could trigger some kind of malware. If you want to avoid this, remove unTabs as soon as you notice its presence. How did unTabs end up on my computer? Adware users software bundles to enter computers but in the case of unTabs, users were basically forced to install it. If you were to enter or got redirected to untabs.com, a pop-up would appear and inform you that you need to add an extension in order to leave the page. No matter what you press, even if it’s ‘Cancel’, it would trigger the download. The best course of action would be to close the tabs or the browser. If something is preventing you from doing that, access Control Panel and close all browser processes. It is also available on the Google Chrome store but the reviews are pretty bad so we doubt you chose to install it yourself. Whichever way it happened, make sure you delete unTabs. When the add-on installs, it will affect only Google Chrome at the current moment. You might think that switching to another browser will solve the issue but it’s only a temporary fix. You need to remove unTabs because while not malicious itself, it still is a threat. It will show you ads in all kinds of forms, from banners to pop-ups, which makes it so annoying to deal with. Whatever you are shown, we do not recommend pressing on the ads because who knows where you will be redirected to. Some ads could even be malicious and could lead to a serious malware infection. Thus, even if you see some great offers, refrain from clicking on them. Adware sometimes also starts monitoring browsing sessions to gather information about what would interest particular users so the ads could become personalized. All the more reason to delete unTabs. The extension could be hiding, which would make manual unTabs removal rather complex and time-consuming. If you cannot locate it or find that it’s too difficult to uninstall unTabs by hand, obtain anti-spyware software. The program should be able to find where the adware is hiding without issues.